Medievalbookshop - AJC0043 Deary, Who Killed Kit Marlowe? 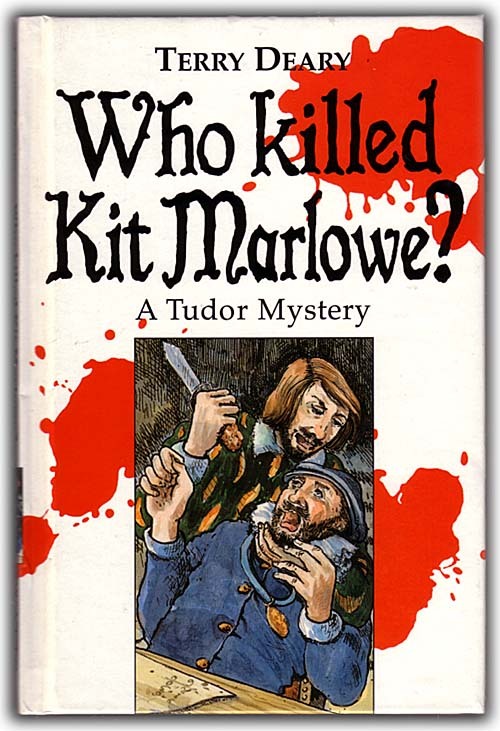 Who Killed Kit Marlowe? A Tudor Mystery. Published London: Franklin Watts, 1996. Printer: hardback, stitch bound; printed boards, published without a dustjacket. Overall condition good: covers a bit scuffed and yellowed with age, with a small bash to the outside edge of the back board; looks in good order internally, text appears to be free of marking. Contents: the first section gives a fictionalised account of Christopher Marlowe's story; this is followed by a "fact files" section providing background information on Tudor England, and finally a brief "now make up your own mind" summary. Looks to be suitable for early teenage reading. Illustrations: monochrome drawings by Linda Birch.